Love these old antique doors-what interesting things you could do with them. I think framing out a potting shed door or maybe around a collection of prints and old plates on a wall. The possibilities are endless you just have to use your imagination! 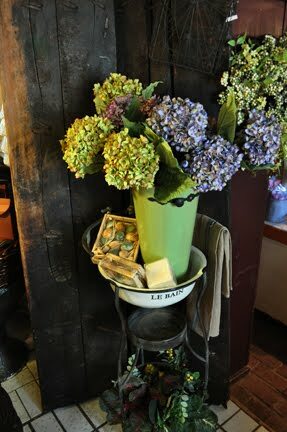 On another note love these soft hydrangeas-pretty any time of the year!